Each year, massive advertising fraud costs the industry billions of dollars, impacting businesses everywhere. With the rise of programmatic buying through RTB exchanges, ad fraud has become the greatest challenge that marketers face when evaluating the overall quality of their campaigns. Left unchecked, ad fraud fundamentally affects every aspect of a marketing campaign and business. A recent study indicated that over 30% of advertising, including on mobile, is at risk of fraud. Put simply, for every $3 spent on advertising, $1 is wasted away on non-human traffic. 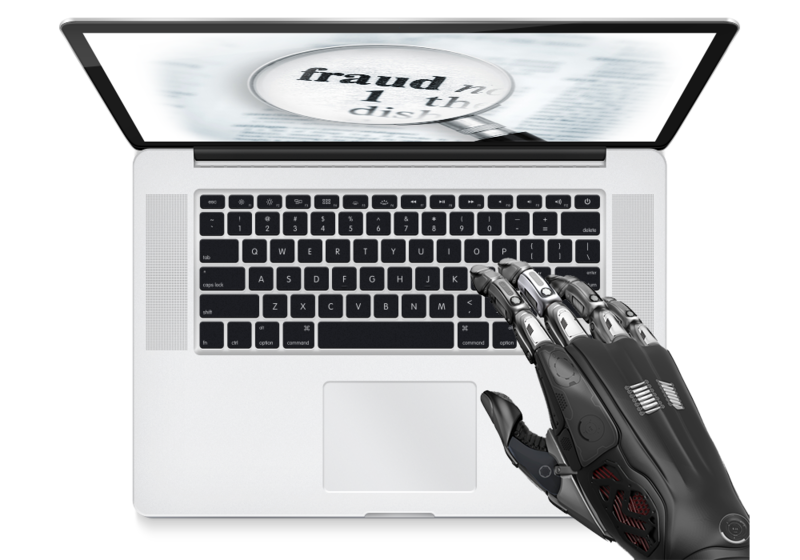 In fact, ad fraud bots have become so sophisticated at avoiding detection and generating fraudulent ad views that some are amassing millions of dollars in a single day. Ad fraud can be perpetrated through a number of different methods, but none is as hindering as fraudulent traffic generated by sophisticated bots, traffic exchanges, and software programs that disguise themselves as humans on browsers, mobile devices, and mobile apps. While the advertising community has mainly focused their efforts on protecting banner ads from non-human traffic, many approaches have been limited to reactive solutions in identifying the problem after the effect. In the meantime, ad fraud has expanded to include diverse and sophisticated methods of deception that now affect social media and mobile apps. The amount of fraudulent traffic originating from social media is staggering. According to the World Federation of Advertisers (WFA), fraudulent bot traffic inflates monetized audiences by as much as 50%, and accounts for as much as 60% of website traffic. With social media now driving a majority of traffic to sites, even greater than search, the amount of fraudulent traffic stemming from fake followers, bots, traffic exchanges, and other programmatic means are impacting marketing campaigns. And with social media controlled by only a few companies, it has become more difficult for marketers to gain insight into the origins of their traffic, while the ability to filter out non-humans has diminished. Now more than ever, third-party validation of social media campaigns has become necessary to ensure ads are served to real humans and fraudulent traffic is filtered out at the source. When a marketer wants to build brand awareness, sell, or promote a product through direct response, it makes sense to provide high quality engagements that show a clear picture of an audience and their interests. We don't think that's asking a lot. Social Verify is the first verification solution that proactively eliminates fraudulent traffic originating from across social media, websites, mobile apps, email, and messaging platforms. Social Verify works by leveraging a multi-layered approach to fighting fraud. Backed by intelligence databases, IP forensics, and proprietary fraud detection algorithms and heuristics, Social Verify provides advertisers with real-time metrics that distinguish real audiences from all forms of non-human traffic. It blocks fraudulent traffic at the source before they even hit your website, providing you with clearer metrics about the audiences visiting your site. Social Verify also tracks audience engagement all the way through a conversion or purchase, so you can evaluate the quality and effectiveness of your campaign in real time. That simply means better performance, better results, and better ROIs. Marketers who use Social Verify understand the value of performance for their brands. Our expertise in automated fraud detection has enabled us to fight ad fraud more effectively, and stay steps ahead of the bad actors. We have worked with advertisers to create the simplest and most effective solution to combat fraudulent traffic. With Social Verify, there are no tags to install on your website, no software programming required, no hardware to configure, and no precious time wasted. Simply snip & share a link... we've got you covered. Social Verify campaigns allow marketers to track real-time audience engagement, validate audience traffic, and filter out non-human traffic originating from social media, websites, email, mobile apps, and messaging platforms. To run the campaign, simply snip any link and set the campaign type to Social Verify. Then share it on any social media or other platform. Our technology will monitor and report on all traffic that clicks through on your Snips link. Where can I run Social Verify campaigns? Anywhere! That includes social media, mobile apps, websites, blogs, email, and messaging platforms. How is Social Verify different from other ad fraud solutions? Most ad fraud solutions focus on banner ads on your website, and many of these solutions are reactive and not proactive. They do not focus on the source of the problem -- that is, stopping the fraudulent traffic at the source. Snips Social Verify is the only solution that eliminates non-human traffic at the source. It validates your audience from social media and other sources to ensure you're marketing campaigns are resulting in real results. How do I introduce Social Verify into my marketing campaigns? Integrating Social Verify with marketing campaigns is truly simple. Whether you're advertising on social media, mobile, or other platforms, you just need to snip the link and share it. That's all there is to it.